1) Higher metabolism: Metabolic rate (or metabolism) is the amount of calories your body burns at rest. Even at rest, your body expends calories simply by functioning. A higher metabolism means more calories are spent on these bodily processes. 2) Better mood (and a decrease in depression): Researchers believe exercise results in a release of various brain chemicals that leave you feeling happy and relaxed, and also relieve anxiety.This feeling is a great reward for the hard work put in during your workout. 3) Better sleep: Most people find that exercise leads to a better night sleep. Researchers found that those who exercised regularly fell asleep faster and sleep for longer periods of time. One caveat: exercising too close to bedtime might make it difficult to fall asleep. 4) More energy: It sounds counter-intuitive, but an increase in activity level (i.e. exercise) provides you with more energy during the day. Exercise leads to a more efficient cardiovascular system, and resulting improvement to your heart and lung function translates into more energy. 5) Reduce high blood pressure and helps prevent coronary heart disease: Regardless of your current weight, regular exercise increases LDL (or good cholesterol) levels and decreases unhealthy triglycerides, both which reduce your risk of heart disease. 6) Reduce risk of osteoporosis: Weight bearing activity (yes, even walking) strengthens your bones and results in a lower risk of osteoporosis, or brittle bones. Adding regular strength training gives you an even greater advantage. 7) Reduce risk of Type 2 diabetes: Not only does exercise help you to lose weight (being overweight puts you at risk for Type 2 diabetes) but it can also help your body to use insulin better. 8) Reduce pain caused by arthritis: Living with arthritis often means stiff and sore joints and the thought of exercise might not sound appealing. 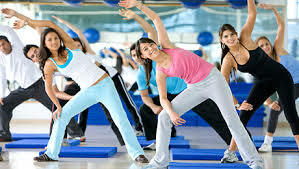 However, exercise actually reduces joint pain by helping to build strength and increase flexibility. If you are of a healthy weight and think you don’t need to include a regular fitness program in your life, you are depriving yourself of the many other health benefits that exercise provides. It is time to join that fitness class, lift those weights, take that daily walk, set up some personal training sessions, or whatever fitness plan works best for you. Mile High Fitness and Wellness is happy to help!